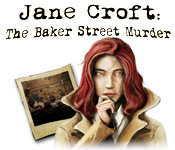 Jane Croft: The Baker Street Murder is rated 2.8 out of 5 by 18. Rated 2 out of 5 by Tikatoy from Short and ended somewhat abruptly I'll talk about the good stuff first. :P I LOVED the art style. I like detective noir and the graphics were really evocative of that. The music was okay but did serve to enhance this atmosphere. The variation on sparkles that shows trails of stars instead was also cool. 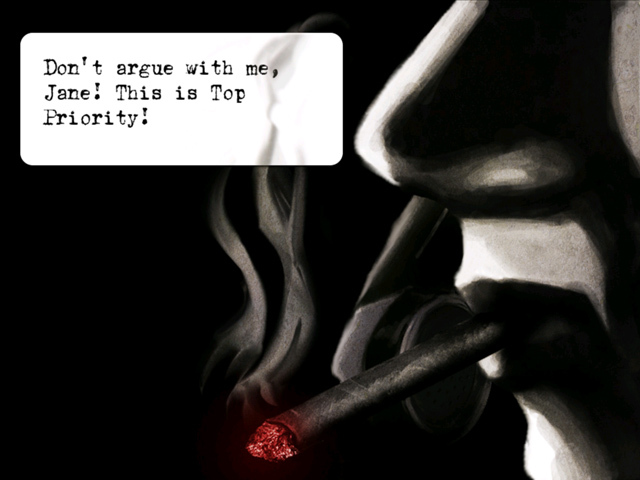 The dialogue is done in speech bubbles with the text in a cool old-school typewriter font--very cool! The story was also interesting as you interview people and compile a list of suspects and uncover hints of corruption. All that good crime mystery stuff. That was it for the good stuff. :( The game was REALLY short. And worse than that, it ended very abruptly. I'm okay with a short game (but not too short--preferably at least over 2.5 hours) if it's high quality, but this game seemed to end in the middle of the story. I was totally unprepared for that! This is more or less a straight HOG where you go from hidden object scene to hidden object scene. Scenes are junk piles with objects in illogical locations. They were reasonably fun to play through, though. There are very few puzzles and they're very easy. No adventure game elements (no inventory items, no true ability to move freely between locations). I wouldn't mind the average gameplay if there was a good story to go along with the amazing graphics, and I did like what there was of the story, but there just wasn't enough of it. Rated 2 out of 5 by IdahoForever from Horrible Graphics Based on the demo: The storyline is good, the music is so-so, but the graphics are AWFUL! When even a modern police lab is a filthy junk pile, well, ugh. And objects in the HOS are often strange, and have nothing to do with the storyline. An anvil in a bedroom? Rated 2 out of 5 by coffeyfan77 from Hope the Sequel Fares Better... Every so often, a hidden object game comes along that, despite its obvious flaws, ends up being pretty awesome. This is not that game. Jane Croft investigates a murder at Baker Street, hence the title, but it's a long way off from Sherlock Holmes-level detection. The most evident problem for me concerned both graphics and sound. There is no voice acting, and the music is monotone and boring. The graphic cutscenes are interesting enough (done in a comic strip style that works with the subject matter# but the rest of the art is way too blocky and clunky. Determining what to pick out of the junkpile object scenes is an exercise in itself. I will admit an odd fascination with finding items like a toilet and lumber in a mansion, but it gets old fast. Speaking of fast, you won't have that long to wait before the game reaches its #surprising) conclusion. The minigames are incredibly simple, so while the skip button will take a while to charge, I doubt you'll need it. The benefit of picking up bullet piles throughout the brief game ends up unlocking bonus content, which essentially is a five-minute random first person shooter. That will end up being the most fun you have with this, incidentally. I don't want to be too harsh. I liked the plot of the game, which was rather complex, but the execution of everything else renders it near irrelevant. There are some minor translation issues but nothing too terrible. All in all, I'd pass on this and pick up something far more playable and well done in this genre, like "Little Noir Stories." Rated 1 out of 5 by SylvanNun from Jane Croft...don't waste your time! Yikes! This is literally one of the worst games I've ever played. Graphics are terrible, storyline just all of a sudden ends with "The End?" as a question and no explanation, and you can finish the game in no time at all. Even if you're a super fan of Sherlock, do not waste your time or money on this as it has nothing to do with him or what you would think of as a Sherlockian style. Misleading! Rated 1 out of 5 by catbag8717 from Worst Game I Have EVER Played Once again I waste my time on such a terrible game. Here are my thoughts. Good Parts: I struggle to find ANYTHING good about this game. The only thing even remotely good would be that the Hidden Objects were really easy to find. OK Parts: Good dialogue, but would've been better with some voices. 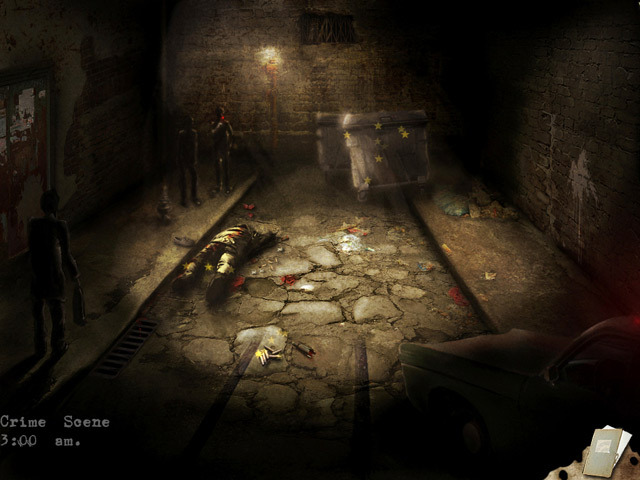 Bad Parts: It was all hidden object scenes. There were no puzzles or minigames or anything. Annoyng sounds and terrible graphics. At almost 2 minutes, (1:50) the hint took way too long to recharge, so if I got stuck on finding an object, I would be sitting there waiting. Well, I guess it's my own fault for not listening to the reviews. This is absolutely terrible. From terrible graphics to a terrible storyline, there is absolutely nothing good about this game. If I could give it 0 Stars, I would. This game doesn't even deserve one millimetre of a star. Rated 1 out of 5 by dande2169 from Not very good This game is definitely one of the worst. There isn't much of a challenge, the graphics are elementry and the game is way too short. I would NEVER recommend this game to anyone. Rated 1 out of 5 by Magda640 from Not worth $2.99 I only played the trial. The illustrations are ugly. The objects are fairly easy to find, but the names are not always understandable. Even at the sale price, I wouldn't waste my money on this one. Rated 1 out of 5 by Rescue_helo from A sheer waste of time and money What is supposed to be a crime investigation is in fact nothing but a pure HOG in which one HOS follows another, ad infinitum. The graphics are outdated and not even pleasant to the eye The intro is a comic book on screen. No voive-over, no dialog, just bubbles. Several items in each HOS are invisible, pure and simple. Help from the Hint System is stingy as it takes ages to recharge. No task whatsoever to accomplish No way to exit a HOS until completed, no location to visit freely. Puzzles and minigames are lame and perfectly boring, and no instruction is given as to what to do. No novelty, no originality, no imagination. No challenge Playtime is ludicrously short. The storyline is the only positive feature the game has to offer. Forget about Jane Croft and the Baker Street Murder. 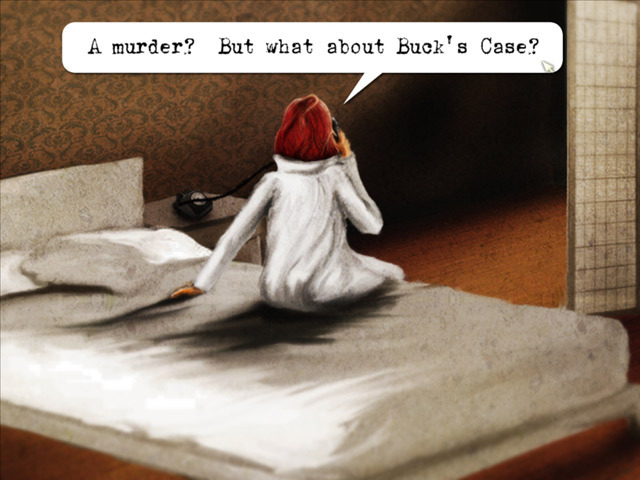 Help Detective Croft solve the case of the Baker Street Murder and uncover the conspiracy about the murder of her partner!